Hello world! This is Staffordshire 4x4. 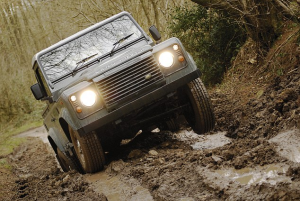 North Staffordshire’s no 1 independent Land Rover specialists. We at Staffordshire 4×4 use our collective years of experience, the highest quality parts and equipment, we ensure your 4×4 is serviced to dealer standard. To aid diagnosis we use “Autologic for Land Rover” which enables us to give a comprehensive and efficient service, all at reasonable rates. All repair work is carried out in our facility, which is equipped with top of the range snap-on tools and using the finest parts. We strive to maintain affordability without compromising quality. Staffordshire 4×4 can present your vehicle for its MOT. We carry out preliminary checks before the test and we also offer a free re-test should your vehicle require it. Our workshop is extensively stocked with top OEM branded and also genuine parts. Which we offer to you, the customer, competitively priced and with two years warranty. Land Rovers and bespoke conversions go hand in hand. The only limit on personalisation is your imagination. Trim, accessories (inc wheels) and colour finishes can be created to your exacting specifications. If it unbolts it can be upgraded. The choice is as always yours. Take a look on our refurbs & mods page to see our previous and current projects soon.